disruptive trends shaping the future of digital media. 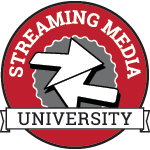 At Streaming Media West, you’ll hear the innovative approaches that the world’s leading organizations are deploying in live streaming, OTT, encoding and transcoding, next-gen TV, VR video, video production, content delivery, content monetization, and much more. Whether you are an executive or manager interested in new business strategies and trends, or a production, IT, or engineering professional from the technical side, you’ll find all of your bases covered. Streaming Media West has been called “the best networking event of the year” for streaming and digital media professionals. Join us on the shores of the Pacific for this unique opportunity. Streaming Media conferences and expos are the only events dedicated entirely to the business, technology, and content of online video. Attendees can learn from online video experts, try out new products on the expo floor, and, most importantly, have fun while learning new things and networking with your peers. You can expect to leave with actionable advice and new strategies for moving your business forward. Network with colleagues, peers, and experts from all parts of the online video ecosystem. Learn about the challenges and opportunities inherent in delivering large-scale live events and live linear channels to multiple screens at Live Streaming Summit.